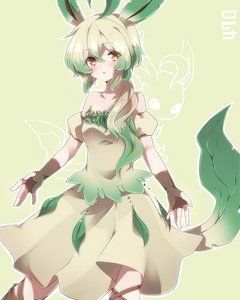 I was thinking about starting a Pokemon High roleplay, (sorry if there are typos I'm making this late at night.) there was one of these that was starting but never offically started called Welcome to Pokemon PU so I thought it would be cool to make an rp based off of it. The introduction story isn't really anything cause everybody kind of gets up and introduces themselves through some kin of way. So that's about it, I hope you enjoy and join soon! Well, may as well give it a gander. Appearance: White hair w/ pink highlights, misty pink eyes, feminine, delicate features, wears white and blue, reasonbly short. Personality: Quiet, moderately intelligent, loves music, hates math, doesn't enjoy conflict. K accepted, just realized the spoilers didn't work lol. You joined my RP, so I'll return the favor. Personality: Todd is a smart kid who at the same time is very scatterbrained. He always thinks of others before himself and considers everyone better than him. He is a great person to rely on, and a very kind friend. Personality: A little shy, she doesn't like to get involved much, but rather sit and watch. But, if you make her made somehow, for any reason, you're in for a beating. If you manage to become her friend, she'll defend ya till the end. She's also a little edgy when it comes to relationships, for a number of reasons. Despite the shyness she gives off, she never minds fighting, and sometimes enjoys it. She's also a little quick-tempered. TheLimeFilms, roughly when are we gonna get this rp started, do'you think? Age: ~20-ish. She isn't sure either. Personality: Calm, like, really calm. To the point where it's near impossible to tick her off. Which is something you shouldn't intend to do in the first place. She also has a very vague memory, and usually forgets lots of things even if you just said them. Accepted, I'ma wait one more day and then we'll start, also does anyone want teacher to get roles or should we like all control them or are there no teachers? TheLimeFilms wrote: Accepted, I'ma wait one more day and then we'll start, also does anyone want teacher to get roles or should we like all control them or are there no teachers? Can you put the characters in spoiler bars on the main post please, so we know who is in it, and who they are? Lime woke up and looked at his clock, it was 3:00 Lime didn't care though he got up and started to make breakfeast, Lime knew he shouldn't and probably couldn't go back to sleep.